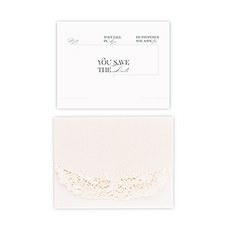 See what a difference high-quality laser cut wedding stationery accessory cards can make in the elegance and sophistication of your upcoming wedding. 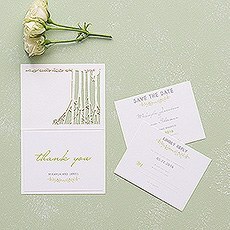 Our intricate laser cut details will make for a stunning presentation - it will be obvious that you like the finer things in life and that you have a unique eye for detail that is second to none.Our laser-cut accessory cards are designed to match our laser-cut invitations, so your design and theme is consistently cohesive throughout your wedding stationery purchases. We've thought of everything! 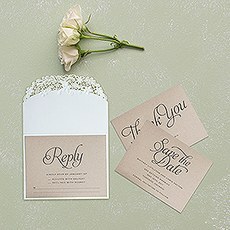 Let us help you find the stationery accessory cards to help communicate save-the-date requests, RSVPs, thank-you cards and more.Whether your style is inspired by vintage items, patterns and scripts, or whether you prefer a more modern twist on invitation presentation and layout, you will find just what you are looking for when you browse Weddingstar's collection of wedding stationery accessories. 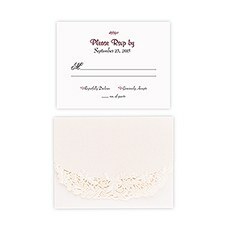 These delicate laser cut patterns are available in several styles that will best reflect your personal taste.Our Floral Elegance Laser Embossed accessory cards are exquisitely beautiful with laser-cut floral and greenery patterns that will amaze your guests (and you!). 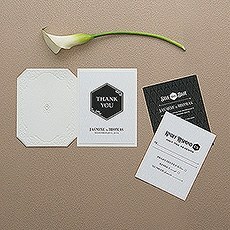 Bring back the sophisticated grace of the cameo with Pearls and Lace Laser Embossed accessory cards. 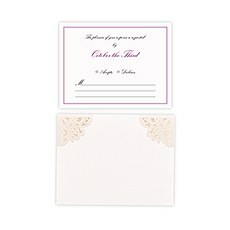 The laser cut and embossed scrolled frame will add beauty and a classic cultivation to your wedding stationery accessory needs.Bring back the feel of old-fashioned lace with our Lace Opulence laser embossed accessory cards. 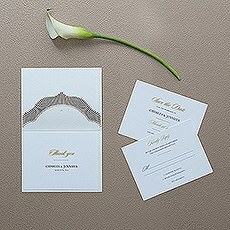 These gorgeous cards will make a statement when your guests open them.Choose our glamourous Art Deco laser embossed accessory cards or choose the modern ombre colour design - available in several colours - of our Embossed Pearls and Lace. All of our laser cut accessory cards are fully customisable and will say just what you want them to say!Weddingstar knows that these options can be overwhelming, which is why we have created a sample pack option for you. 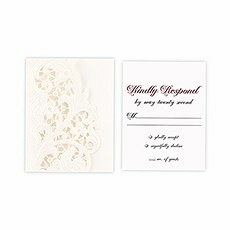 Order several sample packs in different designs and talk them over at home with family members and friends. 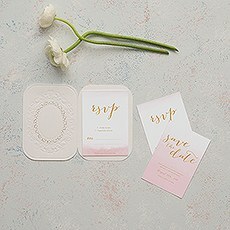 See and touch these laser-cut accessory cards for yourself to experience their quality and gorgeous designs!Weddingstar has something for everyone, so browse our selection and find the ideal wedding accessory cards that are just right for you!